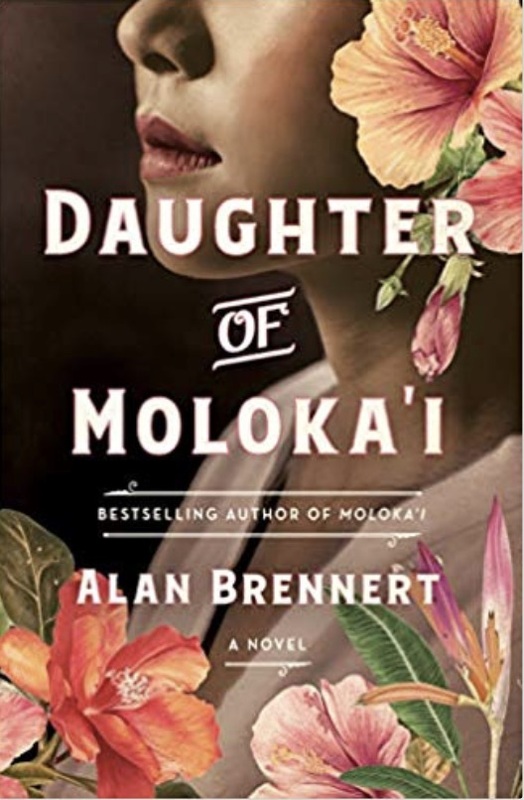 Alan Brennert weaves together a mesmerizing tale of love and family in his latest novel Daughter of Moloka’i. This is definitely a page-turner. Young Ruth was born to a couple at the Kalaupapa Leprosy settlement on the Hawaiian island of Moloka’i. She was taken away after birth to assure she didn’t contract the disease. One of the nuns at Kaluapapa took her to Honolulu where she was placed in the care of a compassionate nun at the Kapi’olani Home for Girls for daughters of parents from the settlement. Ruth was a sensitive young child and extremely drawn to animals. She had a way with animals and loved them dearly. Being half Hawaiian and half Japanese made her undesirable for many couples, but one Japanese couple adopted the young girl. Ruth grew up with brothers and a lot of love, but never knew why her birth mother gave her away. The family moved to California and Ruth met and married and had two children. Then Pearl Harbor happened and her life changed in ways no one could ever have imagined. Having survived Father Damien’s settlement then the girls’ home and adoption, Ruth was a strong woman and her mettle was tested when the entire family was sent to relocation centers. The years were horrible and readers will undoubtedly feel pangs of sorrow as the author describes life in the internment camps. Finally – years later – Ruth was reunited with her birth mother and learned the story of her background. The book takes readers on a roller coaster ride from page one to the end. It is an emotionally charged story, well written, and filled with wonderful characters who manage to get through their ups and downs as history unfolds. This is a must-read for fans of Brennert and those who enjoy a sensitive and compelling story. It is rich with characters and family love as the story of Ruth unfolds page after page. Readers might want to keep a tissue handy when reading this amazing, rich, and penetrating story. If I had had the time, I would have finished it in one sitting, as it is a novel readers won’t want to put down once they start reading. Francine Brokaw writes about books, products, travel, and entertainment. She has been published in national and international newspapers and magazines as well as Internet websites. She has written her own book, Beyond the Red Carpet The World of Entertainment Journalists, from Sourced Media Books.